The Fort was constructed between 1852 and 1859 on a rocky islet , occupying most of the island . With a barbette battery of 9 Guns , protection for the Haven. 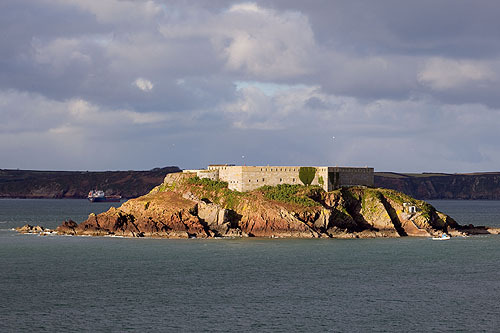 One of the last forts in Britain built specifically to combat wooden sailing vessels, and held a garrison of over 100 men.